Despite concerns of security professionals, members of the public have a high level of trust in electronic voting. More than half of those polled in a recent survey spoke favorably about e-voting, and three-quarters expressed confidence in its accuracy. But a majority of computer professionals attending the recent Black Hat Briefings and Defcon IT security conferences in Las Vegas were less sanguine. Nearly half said they had no confidence in the technology. Two election analysts at the Black Hat Briefings last month said the U.S. election system is broken, and instead of turning to e-voting to fix it, jurisdictions should go back to paper ballots. The survey results, presented at the Defcon hackers' conference, underscored the difference of opinion about whether touch-screen computers are secure enough for the polls. More than twice as many Democrats as Republicans, 42 percent against 19 percent, said they had little or no confidence in e-voting technology. Touch-screen voting systems, also called direct-recording electronic systems, or DREs, have gained popularity as states look for alternatives to flawed punch-card machines that delayed presidential results in 2000. 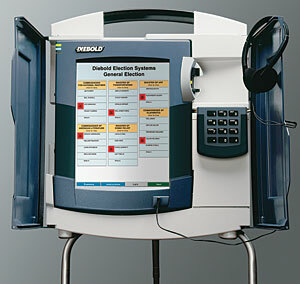 The 2002 Help America Vote Act provided federal funding to replace those machines, and a number of states turned to DREs. But experts still question e-voting software development, security and reliability, as well as the lack of a paper audit trail for recounts. California has decertified DRE machines for the November elections. Other states, including Missouri and Ohio, have either decertified them or demanded additional safeguards. 'If the security concerns are not addressed, it will be difficult to trust this technology in the future,' said Jeff Moss, founder of the Black Hat Briefings. Several congressional hearings have been held, and legislation requiring DRE paper audit trails has been introduced in the House. According to the Ponemon survey, nearly 80 percent of the public believe DRE machines are at least as likely to record their votes accurately as traditional paper ballots. The random survey questioned 3,798 people in July. A nonrandom sample of 101 attendees at Defcon and Black Hat also was surveyed. The results show different levels of awareness about security and reliability issues. Bev Harris, an author, journalist and activist who spoke at Black Hat, said the problem with e-voting is inadequate procedures and standards that cannot yield verifiable results, regardless of the technology. She and election analyst Rebecca Mercuri said technology contributes to the problem. Mercuri cited the lack of standards for casting, counting and auditing votes, which makes it impossible to determine accuracy. She worries this fall's presidential election could raise as many doubts as in 2000. Mercuri analyzed results from last year's California gubernatorial recall election, which she said raised questions about accuracy. Statewide, more than 11 percent of voters neglected to cast votes for some of the ballot questions. Such inconsistencies are called residual votes, but some precincts with DRE machines had no residual votes at all, which Mercuri found suspicious. An audit after the October election found that Diebold Election Systems Inc. of North Canton, Ohio, had installed uncertified software on its AccuVote-TSX voting machines used by at least four California counties. In the run-up to this year's March primary elections, the company displayed what one state election analyst called 'a disturbing pattern' of continually updating software and firmware with versions that had not received federal approval. Diebold said it had worked in good faith with the state and counties to provide reliable, certifiable software in a timely manner. But secretary of state Kevin Shelley decertified DRE machines that could not provide a voter-verifiable paper audit trail, unless the machines already had been in use and the polling place could give voters an optional paper ballot. Shelley in June issued the nation's first standards for paper audit trails. They call for a paper printout of each voter's choices that the voter can accept or void before casting the e-vote. The paper ballots would be retained and used for the state's mandatory 1 percent manual recount. The e-votes would be the official election record, except in case of a full manual recount, when the paper ballots would become the official record. Numerous experts contend that DRE machines are at least as reliable as other voting systems and that there have been no known cases of fraud with the machines. About 35 percent of those polled by Ponemon said they were afraid that distrust of e-voting systems could dissuade people from voting at all. That might not be an idle concern. Although most of the public sample trusted e-voting, a significant minority, 25 percent, said they had little or no confidence in the technology.